As someone with dry skin, I adore facial oils. I use them every night and every day, they're arguably the most important part of my personal skincare routine. 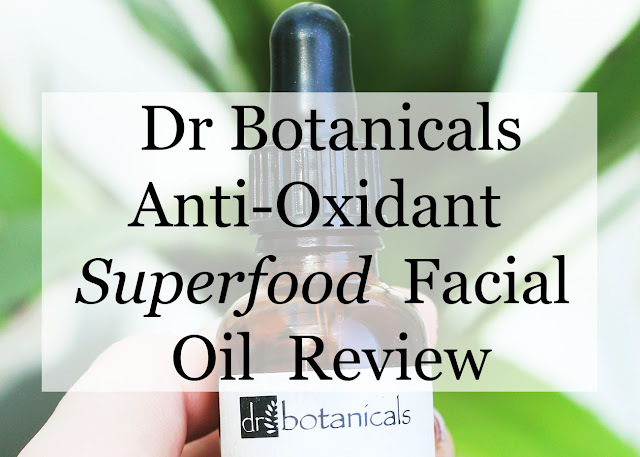 The past month or so I've been trying out the Anti-Oxidant Superfood Facial Oil from Dr Botanicals, I've really been enjoying it and have been so excited to share my thoughts! 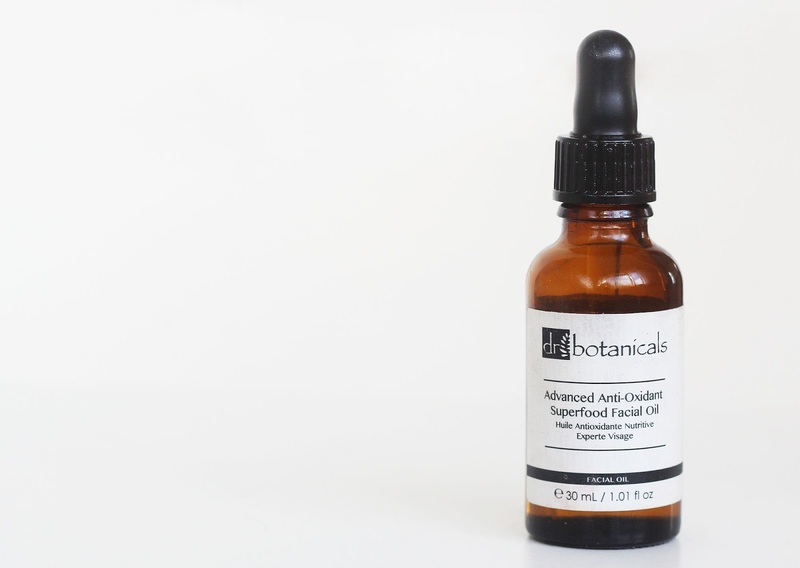 Before I even get onto all the wonderful things this oil does for my skin, let's take a look at the ingredients*: the oil is made 100% from natural ingredients, is paraben free and is not tested on animals. It contains blackcurrant seed oil which is a great anti-oxidant to protect skin cells from damage, as well as being rich in Vitamin C which is great for the skin! Blackcurrant seed oil is amazing for dry skin as well, it has even been known to be used to treat dermatitis*. The oil also contains wild plum, another ingredient rich in the skin-loving Vitamin C**, as well as good at brightening the appearance of skin as well as soothing irritation. This ingredient has "remarkable" skin healing properties and is full of anti-oxidants which fight the signs of ageing. Another key ingredient is sea minerals which "mimic compositions found within skin cells" which improves their vitality. Given all this is packed with fantastic active ingredients, it's no surprise that it's a very effective product! I love how hydrated it makes my skin feel, even from first application. I use it as the last step for my day to day skincare routine. It is absorbed into the skin very fast, so is fine for under make up. It's not greasy feeling at all, and makes your skin look healthy rather than shiny or sticky. It's wonderful and light weight so your skin can still breathe; on days I'm not wearing make up, I like to pat a couple of drops into my face every so often throughout the day, to top up the hydration and make my skin feel extra soft and supple. Once it's absorbed, I look like I've got an inner glow, with my skin looking healthy and smooth. I've also noticed that my skin looks like it's got more of a bounce to it. I know I'm only 20 and am far from wrinkled, but it really does look plumper! Moreover, I first started using this when I had a break out, and after just a week the pimples were just fine, flat marks. 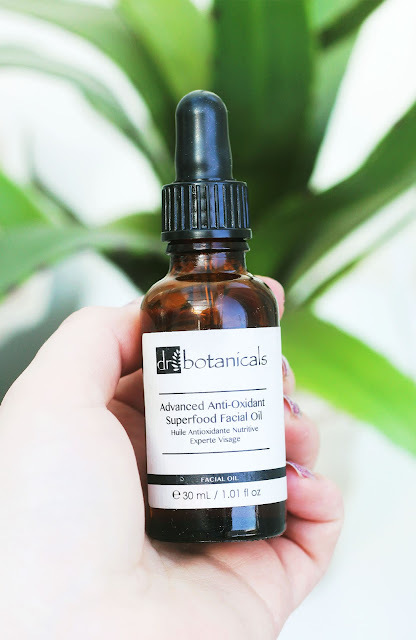 For me, this oil is really important to layer over both my AM and PM skincare routine (I always apply oils last, because other products cannot be absorbed over the top). It's really important to me in order to maintain healthy, hydrated and glowing skin. I don't know a lot about oily skin because I don't have that issue, but I have heard that oil fights oil, so even if you have oily skin, you may want to consider doing a little more research on this theory and perhaps incorporating this into your night time routine. Overall, I definitely recommend it. You get a great 30ml of product, so it'll last you a good few months, even if you use it daily! It's £67.50, which is a great price in my opinion, for all the amazing things it does. However, if you order this little gem directly from DrBotanicals.com and enter the promo code "MODISHBLOG" at the checkout, you'll get a discount of over £30! 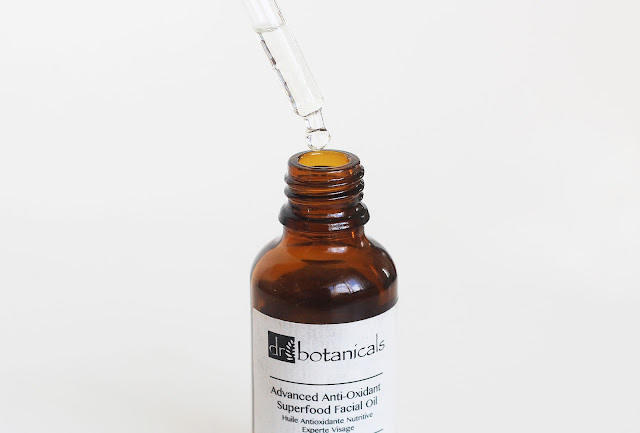 I'm really thrilled that Dr Botanicals was able to offer my readers a fantastic price. It is truly is a wonderful product, and if you choose to get your hands on it, I hope you enjoy it as much as I do! Thanks for the review! I haven't tried this product but it's good to know how good it is, especially that it can work well with acne prone skin and help soothe it. This sounds glorious for skin. So nourishing! Cool review, I want to try the oil. I've never even thought about using oils for facial skin care- sounds great, thanks for the review. Thanks for the review looks! You've completely sold me this oil and I didn't realise that if you're using oil then always apply it last ! Thanks for that tip . Love all the exciting ingredients too especially blackberry seed oil. Sounds amazing, I'd love to try it! My oily t-zone loves oil-based makeup removers, but I haven't found an oil that works for me as a leave-on. This definitely looks like it's work a try; thanks for reviewing it! Never heard of his company until now! Gonna give them a look! I've never heard of this before - it really does sound very effective.